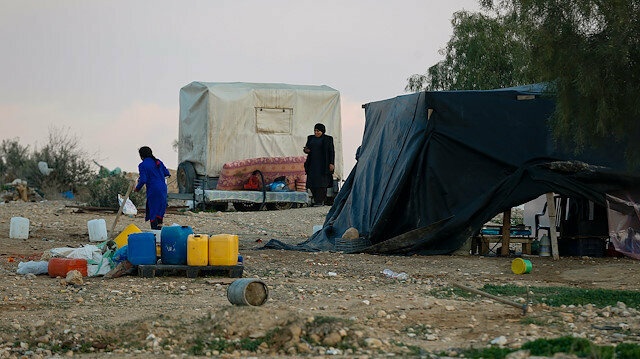 The Israeli government has prepared a plan to expel thousands of Bedouin Palestinians from the southern Negev region, Israeli media reported on Tuesday. According to Hebrew-language daily Israel Hayoum, Agriculture Minister Uri Ariel has unveiled a wide-ranging plan to expel some 36,000 Bedouin Palestinians from their “unrecognized” villages in the Negev. If approved, the plan’s implementation would begin this year and would be fully completed by 2021, the newspaper reported. Under the plan, Bedouin residents of the region would be forcibly relocated from their villages to the government-sanctioned townships of Tel Sheva, Abu Talul and Umm Batin, according to Israel Hayoum. The plan also reportedly calls for the confiscation of 260,000 dunums of vacated Bedouin land, on which the Israeli authorities hope to establish a series of “national projects”. The Israeli government has designated roughly 40 Bedouin villages in the Negev as “unrecognized”, claiming the region’s approximately 53,000 Bedouin inhabitants cannot prove their ownership of the land. The Israeli authorities frequently demolish Bedouin homes in the Negev, claiming that most of the region consists of “state property”.